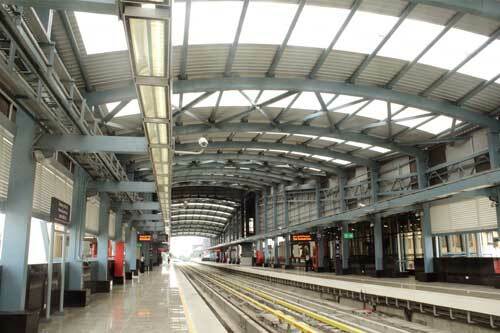 This is an elevated station above the road. It has entry – exit structures at the road level. 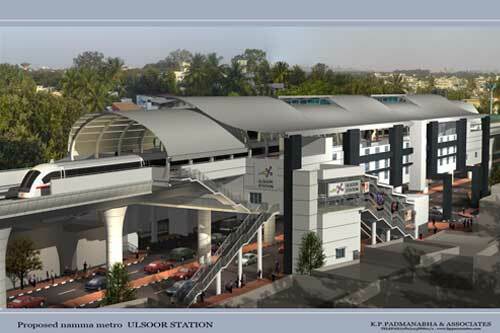 The middle level is the concourse level which has the operational areas and paid concourses. The uppermost level is the platform level with tracks for trains in two directions. This station was inspired and based on the theme of overlapping waves and movement.